Sometimes you just need a break from work and what better way to clear you mind than some sensational mountain biking in the Alps. Just getting out into that Alpine air and releasing that tension built up from all your hard work can improve both your work, home life balance and your health. The aerobic exercise involved in cycling is known to decrease stress and anxiety and improve those happy serotonin levels. Getting on your bike here can help focus your mind and regulate your breathing too. Many people also feel that high that is similar to runners high when riding their bikes. Taking a mountain biking holiday in the Alps will reduce your stress levels and improve your mood. Biking can induce a state on mindfulness and being completely in the moment can clear your mind for creative thinking. When you exercise the flow of oxygen is directed to the part of the brain that matters the most. This means you automatically forget about the everyday real life pressures and make space for other more creative thoughts. It is well known that exercising regularly can boost your energy levels and when you are cycling at altitude that really is the case. Higher altitude can be more strenuous on your body and breathing when exercising. The Alps can challenge your physical ability; however, this will improve day by day and you will notice an improvement in your endurance and your energy too. Biking is also something you can continue at home, meaning you can boost your energy levels well after your holiday is over. Researchers have discovered that cycling helps to build new brain cells. Just a 5% improvement in cardio-respiratory ﬁtness from cycling led to an improvement of up to 15% in mental tests. Your memory and brain power can improve by taking your holiday mountain biking in the Alps. Sometimes you just need to clear your mind and focus on forgetting the small stuff to remember what actually matters. If you ride regularly you can help to reduce levels of cortisol in the body which is a stress hormone that blocks deep sleep. Better sleep can help your overall health and prepare for your body for the day ahead. By wearing yourself out on your bike in the Alps you will get a good night’s sleep during your break and it will benefit you when you get home too. There’s nothing better to improve your confidence and motivation than to feel like you have achieved something. 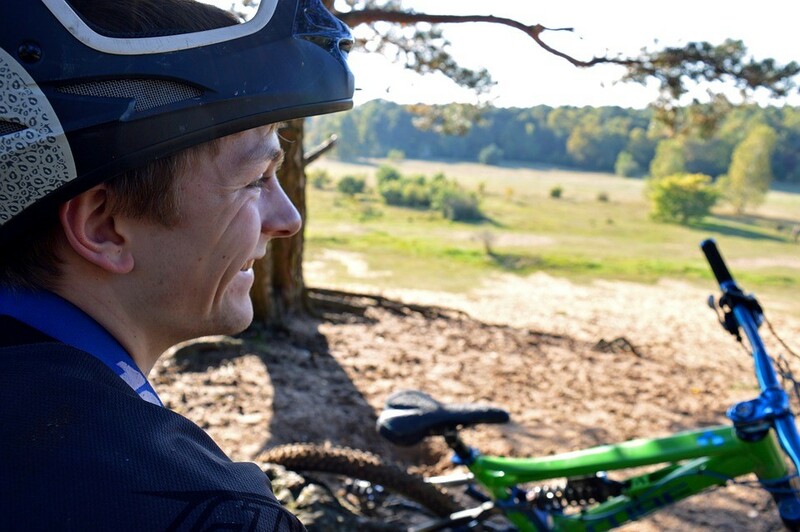 Beating that hill or making that jump when mountain biking can boost that self-belief which will shine through to the rest of your daily life. It will also make good memories you can look back on to invoke that feeling again. What do you do to inspire creativity and productivity in your life? Any kind of active holiday can have great benefits for your health and welfare. Have you been mountain biking in the Alps? How did it improve your life once you returned home? ← Driverless vehicles, a futuristic dream or a logistical nightmare?